Perhaps you've heard of HTTP/2? It's not just an idea, it's a real technology and slowly but surely, hosting companies and CDN services have been releasing it to their servers. Much has been said about the benefits of using HTTP/2 instead of HTTP1.x, but the proof the the pudding is in the eating. Today we're going to perform a few real-world tests, perform some timings and see what results we can extract out of all this. 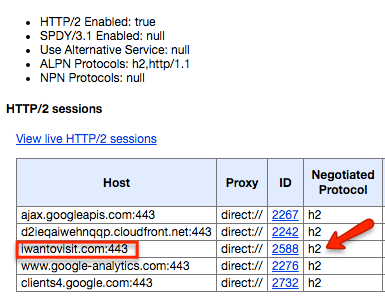 If you haven't read about HTTP/2, may I suggest you have a look at a few articles. There's the HTTP/2 faq which gives you all the nitty gritty technical details whilst I've also written a few articles about HTTP/2 myself where I try to tone-down the tech and focus mostly on the why and the how of HTTP/2. HTTP/2 is binary instead of textual like HTTP1.x - this makes it transfer and parsing of data over HTTP/2 inherently more machine-friendly, thus faster, more efficient and less error prone. HTTP/2 is fully multiplexed allowing multiple files and requests to be transferred at the same time, as opposed to HTTP1.x which only accepted one single request / connection at a time. HTTP/2 uses the same connection for transferring different files and requests, avoiding the heavy operation of opening a new connection for every file which needs to be transferred between a client and a server. HTTP/2 has header compression built-in which is another way of removing several of the overheads associated with HTTP1.x having to retrieve several different resources from the same or multiple web servers. HTTP/2 allows servers to push required resources proactively rather than waiting for the client browser to request files when it thinks it need them. These things are the best (if simplistic) depiction of how HTTP/2 is better than HTTP1.x. Rather than the browser having to go back to the server to fetch every single resource, it's picking up all the resources and transferring them at once. Theory is great, but it's more convincing if we can see some real-data and real performance improvements of HTTP/2 over HTTP1.x We're going to run a few tests to determine whether we see a marked improvement in performance. Why are we calling this a semi-scientific test? If this were a lab, or even a development environment where we wanted to demonstrate exact results, we'd be eliminating all variables and just test the performance of the same HTML content, one using HTTP1.x and one using HTTP/2. Yet (most of us) don't live in a development environment. Our web applications and sites operate in the real world, in environments where fluctuations occur for all sorts of valid reasons. So while lab testing is great and is definitely required, for this test we're going out in the real-world and running some tests on a (simulated) real website and compare their performance. It was given out for free in January by ThemeForest. This was great timing, what better real-world test than using a premium theme by an elite author on ThemeForest? 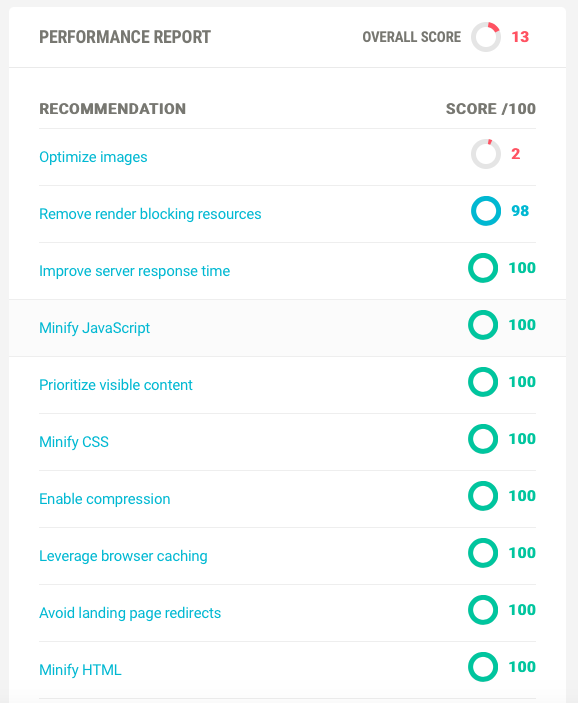 We'll be running these tests on a brand new account powered by Kinsta managed WordPress hosting who we've discovered lately, and whose performance we really find great. We do this because we want to avoid the stressed environments of shared hosting accounts. To reduce the external influence of other sites operating on the same account at the same time, this environment will be used solely for the purpose of this test. We ran the tests on the lowest plan because we just need to test a single WordPress site. In reality, unlike most hosting services, there is no difference in speed/performance of the plans. The larger plans just have the capacity for more sites. 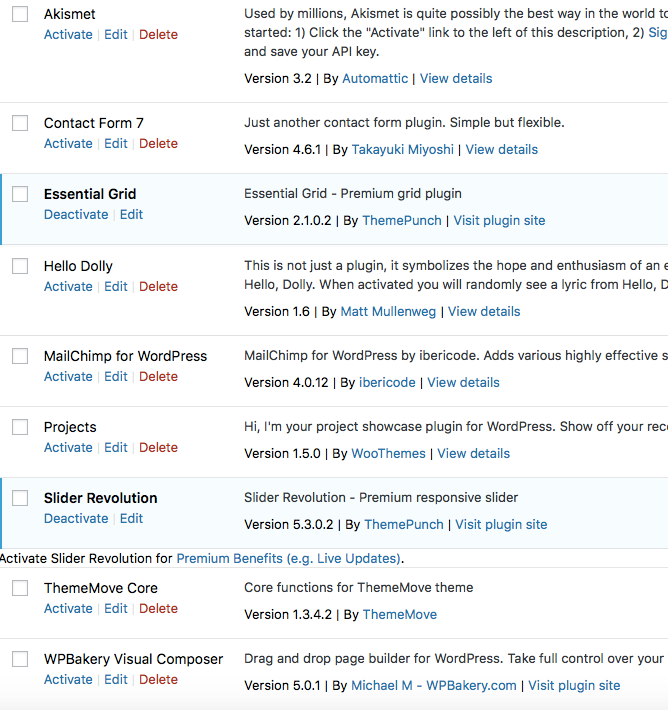 We then set up one of the domains we hoard (iwantovisit.com) and installed WordPress on it. We've also chosen to run these tests on WordPress. The reason for doing that is for a bit of convenience rather than anything else. Doing all of these tests on manual HTML would require quite a lot of time to complete. We'd rather use that time to do more extensive and constructive tests. 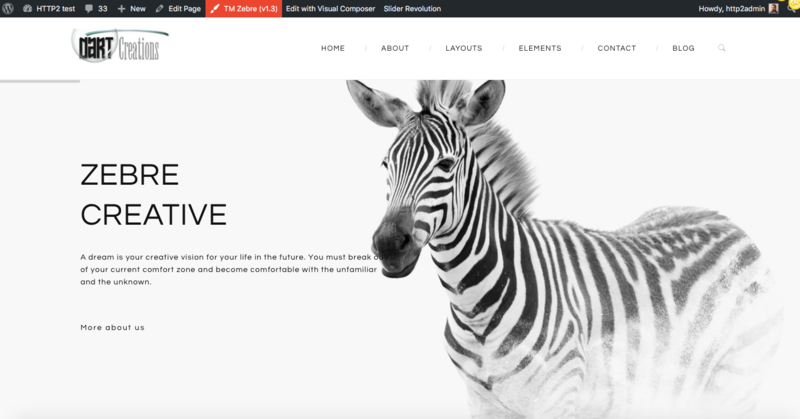 We also imported the Zebre theme demo data to have a nicely populated theme with plenty of images, making this site an ideal candidate for HTTP/2 testing. The final thing we did was to make sure there is page caching in place. We just want to make sure we were not suffering from drastic fluctuations due to page generation times. The great thing is that with Kinsta there's no needed for any kind of caching plugin as page caching is fully built into the service at the server-level. We're ready for the first tests. Let's start running some tests to make sure we have a good test bed and get some baseline results. We’re running these tests with only WordPress caching - no other optimizations. There's clearly something fishy going on. The load times are much too different. Oh yes: Google Cloud platform, Central US servers east are located in Iowa, making the test location of Pingdom tools New York much closer than Vancouver, skewing the results in favor of New York. You probably know that if you want to improve the performance of your site, there is one very simple solution: host your site or application as physically close as possible to the location of your visitors. That's the same concept CDNs use to boost performance. The closer the visitors to the server location of the site, the better the loading time. For that reason, we’re going to run two types of tests. One is going to have a very close location between the hosting service and the test location. For the other, we’re going to choose to amplify the problem of distance. We're thus going to perform a trans-atlantic trip with our testing, from the US to Europe, and see whether the HTTP/2 optimizations results in better performance or not. Let's try to find a similar testing location on both test services. Dallas, Texas is a common testing ground, so we'll use that for the physically close location. For the second location, we're going to use London and Stockholm, since there isn' a shared European location. That's better. Let's run another couple of tests. You might notice there are a few fluctuations in the requests. We believe these are coming from external scripts being called, which sometimes differ in the number of requests they generate. 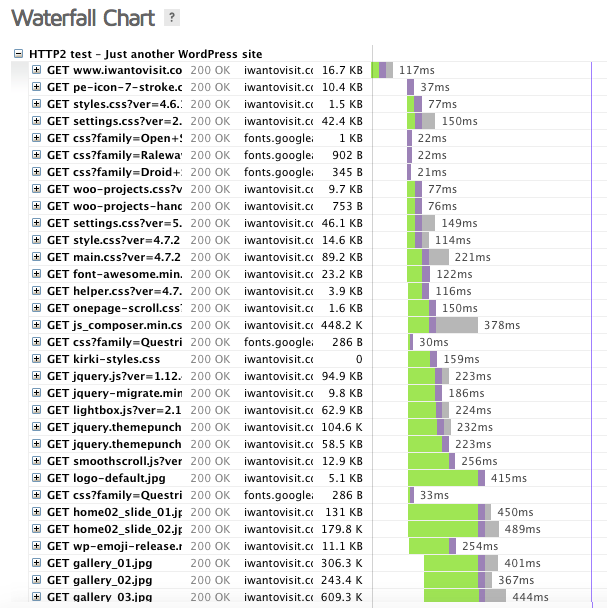 In fact, although the loading times seem to vary by about a second, by taking a look at the waterfall graph, we can see that the assets on the site are delivered pretty consistently. It's the external assets (specifically: fonts) which fluctuate widely. We can see clearly also how the distance affects the loading time significantly by about a second. Before we continue, you'll also notice that our speed optimization score is miserable. That's why for our second round of tests we're going to perform a number of speed optimizations. Now, given that we know that HTTP1.x is very inefficient in the handling of requests, we're going to do a round of performance optimizations. We're going to install HummingBird from WPMUDEV on the WordPress installation. This is a plugin which handles page load optimizations without caching. Exactly what we need. We'll be enabling most of the optimizations which focus on reducing requests and combining files as much as possible. We're not going to optimize the images because this would totally skew the results. As you can see below, following our optimization, we have a near perfect score for everything except images. We’re going to leave the images unoptimized on purpose so that we retain their large size and have a good "load" to carry. Let's flush the caches and perform a second run of tests. Immediately we can see a drastic improvement. Never mind the C on YSlow. It's because we're not using a CDN and some of the external resources (the fonts) cannot be browser cached. We can see quite a nice improvement on the site. Next up, we're going to enable HTTPS on the site. This is a prerequisite for setting up HTTP/2. We'll be using the Let's Encrypt functionality to create a free SSL certificate. This is built into Kinsta, which means setting up HTTPS should be pretty straightforward. Once we've generated an HTTPS certificate, we'll be using the Really Simple SSL WordPress plugin to force HTTPS across the site. This plugin checks whether a secure certificate for the domain exists on your server, if it does, it forces HTTPS across your WordPress site. Really and truly, this plugin makes implementing HTTPS on your site a breeze. If you're performing a migration from HTTP to HTTPS, do not forget to perform a full 301 redirection from HTTP to HTTPS, so that you don't lose any traffic or search engine rankings whilst forcing HTTPS on your site. Once we've fully enabled and tested HTTPS on our website, you might need to do a little magic to start serving resources over HTTP/2, although most servers today will switch you directly to HTTP/2 if you are running an SSL site. Kinsta runs on Nginx, and enables HTTP/2 by default on SSL sites, so enabling SSL is enough to switch the whole site to HTTP/2. Once we’ve performed the configuration our site should now be served on HTTP/2. To confirm that the site is running on HTTP/2, we've installed this nifty chrome extension which checks which protocols are supported by our site. Once we’ve confirmed that HTTP/2 is up and running nicely on the site, we can run another batch of tests. *Unfortunately, Pingdom tools uses Chrome 39 to perform the tests. This version of Chrome does not have HTTP/2 support so we won't be able to realistically calculate the speed improvements. We'll run the tests regardless because we can have a benchmark to compare with. Now that we’ve seen HTTP/2 without any performance optimizations, it’s also a good idea to actually check whether HTTP1 based performance optimizations can and will make any difference when we have HTTP/2 enabled. Against: To perform optimizations aimed at reducing connections and size, we are adding performance overhead to the site (whilst the server performs minification and combination of files), therefore there is a negative effect on the performance. In favor: Performing such minification and combination of files and other optimizations will have a performance improvement regardless of protocol, particularly minification which is essentially reducing the size of resources which need to be delivered. Any performance overhead can be mitigated using caching. You’ve probably seen over and over again how one of the main ways to improve the performance of a site is to implement a CDN (Content Delivery Network). But why should a CDN still be required if we are now using HTTP/2? There is still going to be a need for a CDN, even with HTTP/2 in place. The reason is that besides a CDN improving performance from an infrastructure point of view (more powerful servers to handle the load of traffic), a CDN actually reduces the distance that the heaviest resources of your website need to travel. By using a CDN, resources such as images, CSS and JS files are going to be served from a location which is (typically) physically closer to your end user that your website’s hosting server. This has an implicit performance advantage: the less content needs to travel, the faster your website will load. This is something which we’ve already encountered in our initial tests above. Physically closer test locations perform much better in loading times. For our tests, we're going to run our website on an Incapsula CDN server, one of the CDN services which we’ve been using for our sites lately. Of course, any CDN will have the same or similar benefits. Reverse proxy: you make DNS changes such that the CDN handles the bulk of your traffic. The CDN service then sends the requests for dynamic content to your web server. The final test which we're going to perform is implementing all possible optimizations we can. That means we're running a CDN using HTTP/2 on a site running HTTP/2, where all page-load optimizations have been performed. Nice! We've got a sub-second loading time for a 7Mb sized website! That's an impressive result if you ask me! We can clearly see what a positive effect HTTP/2 is having on the site - when comparing the loading times, you can see that there is a 0.5 second difference on the loading times. Given that we're operating in an environment which loads in less than 2 seconds in the worst-case scenario, a 0.5 second difference is a HUGE improvement. This is the result which we were actually hoping for. Yes, HTTP/2 does make a real difference. Although we tried as much as possible to eliminate fluctuations, there are going to be quite a few inaccuracies in our setup, but there is a very clear trend. HTTP/2 is faster and is the recommended way forward. It does make up for the performance overhead which is introduced with HTTPS sites. Minification and other ways of reducing the size of the web page being served is always going to provide more benefits than the overhead required to perform this "minification". What do you think of our results? Have you already implemented HTTP/2? Have you seen better loading times too? We also did a HTTP/2 reality check. Results where not clear, maybe we were doing it wrong. We finally could safely say that HTTP/2 is not any slower. I have implemented HTTP/2 using Cloudflare, and have “optimizted” my site for HTTP/2. GTMetrix and Pingdom doesn’t give me a good score (not concatenated css etc), but I get a really good score at WPT and dareboost since they do HTTP/2 testing. Very good article, I am glad HTTP/2 is getting more real-world tests by people who aren’t as big as Google. My pet peeve is when people type “7Mb” when they mean “7MB”: a bit is eight times smaller than a byte, so it matters whether you capitalize the B or not. You can delete this comment, mods. Just so you know, combining files with http2 is not recommended, it’s faster to multiplex lots of smaller files due to the window size. Also, just so you know, I’ve tested kinsta against their testimonial websites and the speed they say they get (i/e 0.4s load time etc) is NOT actually what they get, their sites are closer to 2.5 seconds load time across the board. For $100 a month you can do a lot better. Great article, and I appreciated the effort you put into measuring everything consistently. BUT…. coming from Australia, where most people do not have USA internet speeds, I would have liked to have seen the same tests run on a home or office internet connection, i.e. a real-life test of a real-life internet connection, not a server-to-server test (GTMetrix and Pingdom run their tests on high end servers, which run on high speed internet connections… as far as I’m aware?). I’m not convinced a large proportion of real-life users would actually have your website fully loading in 1 second – I have never ever experienced that, on any modern website (with an empty browser cache). 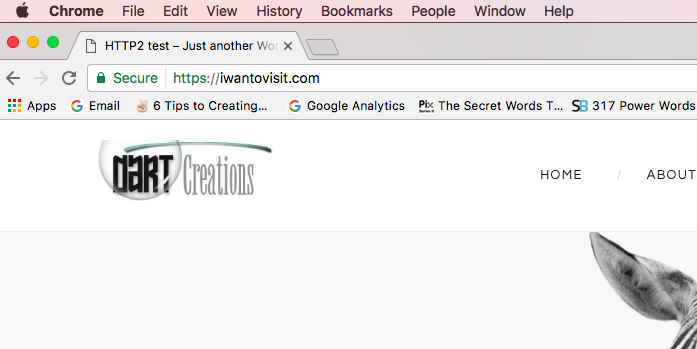 I wanted to check how long your website http://www.iwanttovisit.com would take to load from my (very typical for Australia) internet connection, to compare the results, but alas the site is now offline. So I checked how long it takes to load this very webpage on css-tricks.com …. which also uses HTTPS – and a CDN – and HTTP2 — the result is a pretty consistent 12 seconds according to my browser’s waterfall (with an empty browser cache). 12 seconds is a long long time, compared to 1 second. FWIW: speedtest.net rates me at 20ms ping, 7.93Mbps download, 0.89Mbps upload, which is about average here according to speedtest.net, and roughly about average for worldwide as well according to same site. I’ve waded through the article, and nowhere is there any mention of the client details of the test, which is also relevant in a synthetic server-side test tool. Without knowing basic details about the test client, like bandwidth, latency and more, the numbers have little meaning. To further illustrate that point, a bandwidth category we call “3G” has a spectrum of a factor 20. Tiny differences in client details produce spectacularly different numbers. Not knowing the client details and looking at the numbers, I have to make the assumption that this is a desktop-like test. Which is an outdated approach. It is not wrong in all cases, but modern consensus in performance testing is to stress test, meaning slow 3G with high latency. Optimizing for that scenario achieves the gold standard across everything. It’s also the area where optimizations are amplified and easiest to analyze. This is also why differences between HTTP/1 and 2 in a desktop test are usually quite disappointing. All three metrics you use are useless in determining whether a site loads fast. The modern metrics to watch are first paint, first meaningful paint, speedindex…metrics related to the rendering of a website. A website may render very quickly yet have a terrible load time. A website may render slow, yet have a great load time. You have ignored the render path completely. I think that some of your tests are needless. Not wrong, but they complicate the situation. It is already well proven that basic HTTP optimizations and the CDN are beneficial to performance. They should be a starting point in both HTTP/1 and HTTP/2, for a clear apples to apples comparison. The final conclusion on HTTP/2 seems very hasty to me. It’s also too generic. You’re basically saying “yeah, its better”. Where’s the analysis? Why is it better? Where is the waterfall? It is too generic in the sense that the advantages of HTTP/2 (better use of connections) falls flat on its face in a bandwidth-squeezed scenario. So it’s better for you, in this case. But there’s lots of ifs and buts. And as mentioned earlier, better for page load time is not meaningful, since page load time is not what we should be measuring. I hope my large amount of criticism does not upset you, I have good intentions. I know it’s not a scientific study, but it has so many shortcomings that both the numbers and conclusions have very little meaning. Another question from me (might be a bit off topic) is that since HTTP/2 doesn’t recommend combining files, I am thinking of separating a big css file into different small ones, will this particular HTTP/2 implementation hurt the rankings on search engines? Google Audits (from the Chrome dev tool) still asks to combine files on my site. If anyone knows anything about it, please feel free to send me articles or resources which clearly indicate this. Many thanks in advance.